(BPT) – The holidays are known to be the most wonderful time of year, but often bring a sense of urgency and stress to many of us. Whether it’s shopping for gifts, traveling to parties, cooking holiday meals or entertaining friends and family, you’re probably thinking you could use an extra set of hands. But your best option may actually be to go hands free. You can cut through the chaos and make your life easier this holiday season by using all the capabilities of an Alexa smart home with Amazon Echo devices and more. Tackling your holiday to-do list will require careful planning and time management. Thankfully, smart home technology can help you create a routine that keeps you productive during the holiday season. For example, set a “Good Morning” routine that will start your connected electric kettle, play your local forecast and update you on the latest traffic report – getting you ready and out the door on time to hit the stores or the next holiday party. You can even sync your calendar to your smart home device to read or show your daily schedule, and before you know it you’ll be ready to take on the day without even picking up your phone. You can also bring on the holiday lighting by simply asking your smart home to create a “Happy Holidays” routine that turns on the Christmas tree lights and plays holiday music. If you’re having people over for a holiday get-together, your smart home device can be the life of the party. Use your voice to play games such as Jeopardy! or Song Quiz, listen to music, sing carols or test everyone’s holiday trivia knowledge. Easily control connected devices such as smart lights to create a holiday lighting display that will be the envy of the neighborhood simply by asking Alexa. Completing holiday shopping is at the top of everyone’s to-do’s, and your smart home device can help create shopping lists for any occasion – just say things like “Alexa, add milk to my cookie party list” or “Alexa, add basketball shoes to Connor’s wish list.” But as you get closer and closer to the holidays, stores get busier and busier, and the time you have to get there seems to all but disappear. Your smart home can save you a trip to the store during the busy holiday season through Alexa shopping – simply ask Alexa to add something from your holiday list to your online cart and purchase from the comfort of your own home. Keeping little ones from tearing into presents or even tearing down the whole tree can feel like a full-time job. Keep track of Santa and his reindeer as they travel around the world with the NORAD Tracks Santa skill. 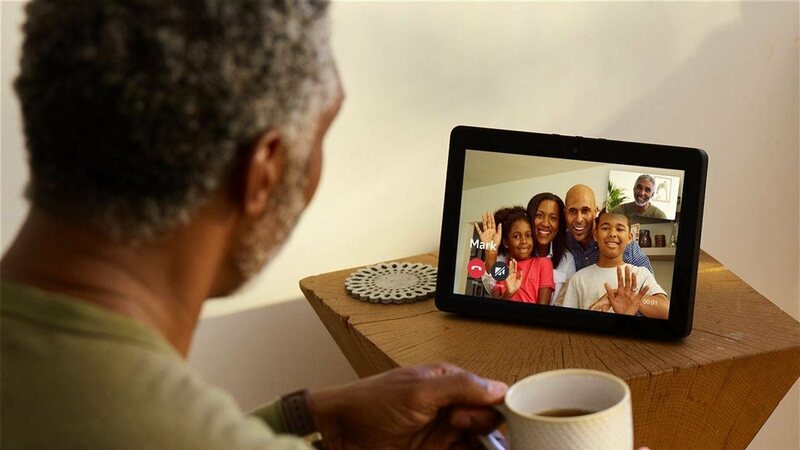 Plus, families can have some festive fun calling Santa via Alexa just in time for the holidays. Customers with Echo Dot Kids or FreeTime on Alexa can say, “Alexa, call Santa” and they will hear from elves, Jack Frost and even Santa himself. And you can always enjoy some downtime with the whole family by using your voice to stream your favorite holiday movies, discover new shows, listen to music and more. Or have voice technology read a holiday story via Audible for a new spin on a classic tradition. There are few things more enjoyable than a holiday meal surrounded by friends and family. But actually cooking that meal can be a hassle. Your smart home makes it easier to get everything out of the oven and onto the table in time for your holiday guests. Ask your smart home device to read you recipes, recommend wine pairings, give unit conversions and walk through recipes step-by-step. You can also set multiple named kitchen timers to make sure everything is cooked to perfection. Most of us know all too well that the holiday season is busy, busy, busy. Use smart home technology to cut through the chaos and make your life easier this holiday season. * Create a stress-free routine by using your smart home to control lights, music, set alarms, check the forecast and review your daily schedule. * If you’re hosting, use your smart home device to play games and music, sing carols or test everyone’s holiday trivia knowledge. * Finish your holiday shopping by using voice technology to order gifts quickly and easily. * Cook the perfect holiday meal with help from your smart home by receiving recipe suggestions, setting timers, ordering groceries and more. * There are more than 20,000 devices that work with Alexa, from smart lights, doorbells, locks and more, so take some of the stress out of the holiday and let your smart home device do some work for you.